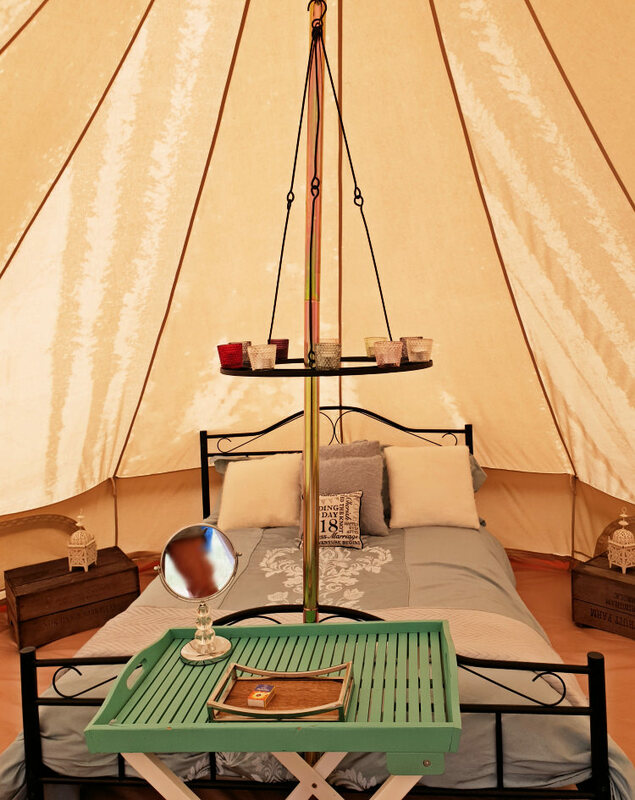 We provide luxury Bell Tent Hire throughout England, Wales and the Scottish Borders. 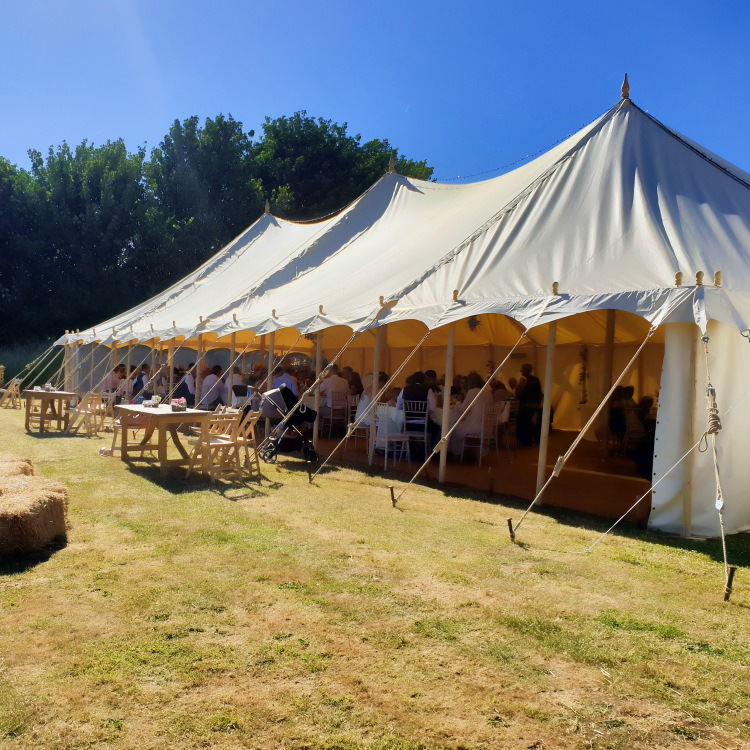 We specialise in weddings and special occasions, although we will happily provide bell tent villages for any event or occasion. 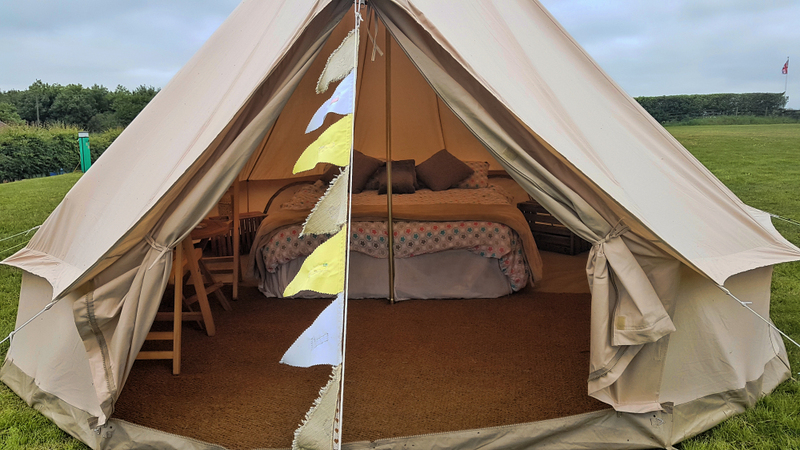 Our luxury Bell Tents sleep from 1 to 6 guests and include all those little extra touches, beds or airbeds, bedding, throws and cushions, furniture and lighting etc. 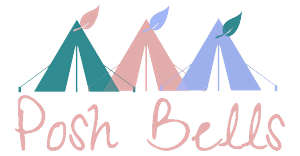 If you just want empty bell tents or bell tents with airbeds have a look through our site and find the option that suits you best. To make your booking or enquire about availability please fill in your details on our contact page, call us or email. Simply that - bare tent hire. We'll deliver them, put them up, take them down and collect them. Why not add a dining marquee, bar tent, or chill out area. 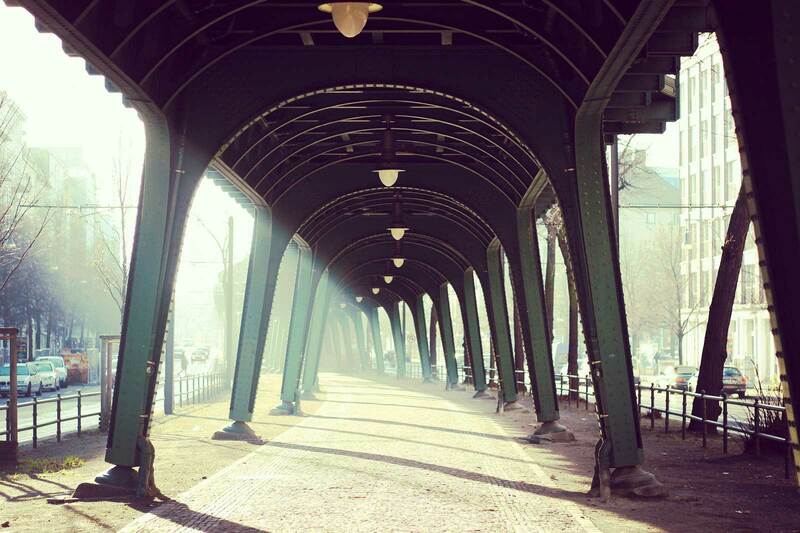 We have a wide choice of professional Marquees and commercial Gazeebos for all occasions. As with Bare Tent hire, but we'll add airbeds, mattresses or beds and battery lighting. That's the bed sorted, what about breakfast? For a real Glamping experience we can add continental breakfast with tea and coffee, or even a full English with toast and omelettes. All the Bells and Whistles. 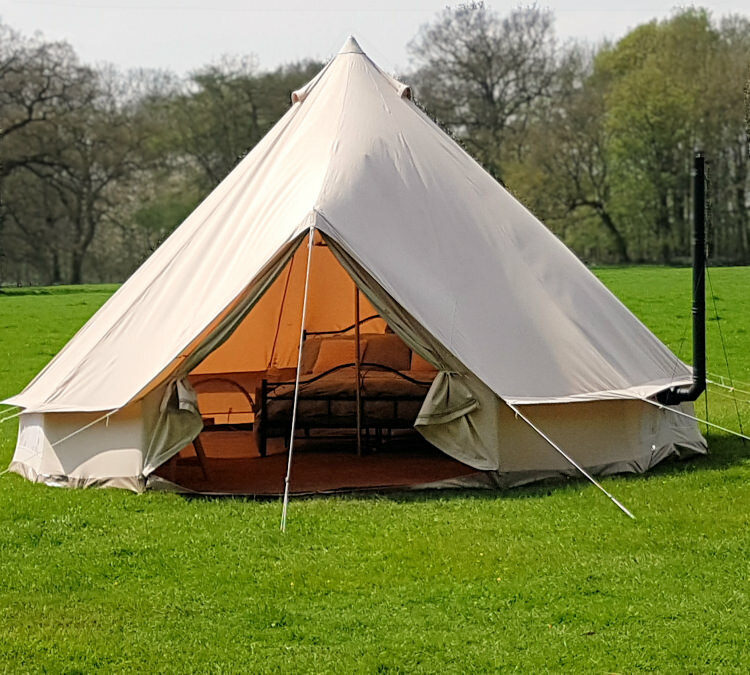 With your 4 or 5m bell tent we'll include airbeds, or mattresses with quality bedding and pillows, side tables or rustic boxes, folding table and chairs, half moon carpet, battery lamps, chandelier with tea lights, bunting and blankets. As with our Luxury Bells, Our Posh Bells have everything you need for a perfect stay. 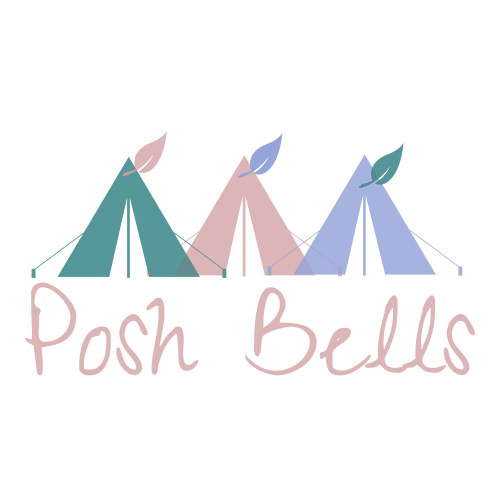 Posh bells are 5m diameter and include a full size double bed, or 2 singles, with luxury bedding and pillows,, side tables or rustic boxes, folding table and chairs, half moon carpet, battery lamps, double chandelier with tea lights, bunting and blankets, a large bottle of water and glasses. 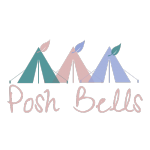 Our wedding Bell Tent Village comes with ten fully dressed luxury bells including a spectacular 5m Honeybell with log burner and double bed,. The bells will be set with your choice of sleeping arrangements giving sleeping for up to 40 guests! 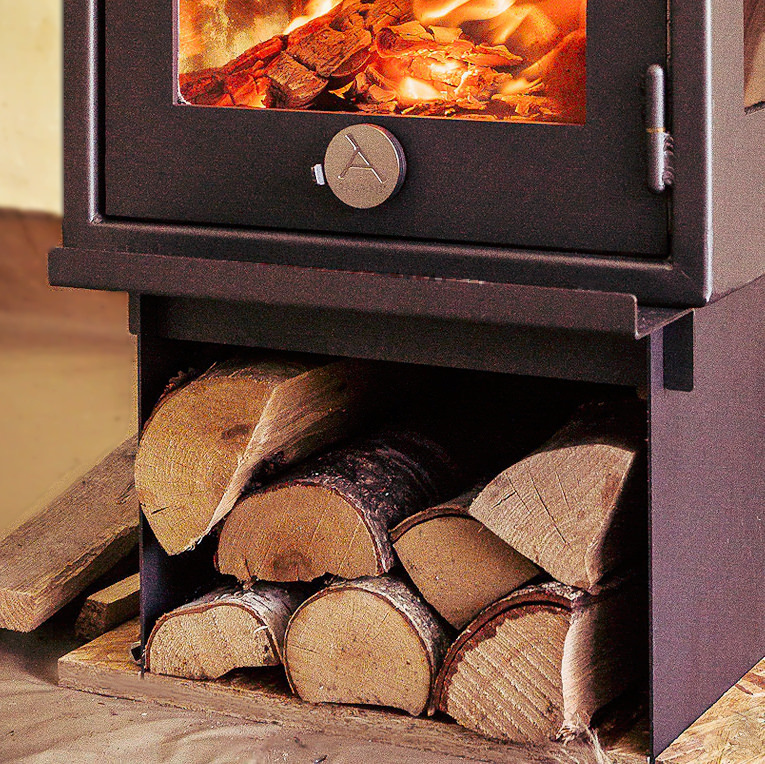 Bunting and solar lighting, as well as a firepit with hay bale seating complete the package. Perfect accommodation for your party; five luxury 4m bells with double beds and furniture. Simple, basic, perfect for festival organisers and large groups. 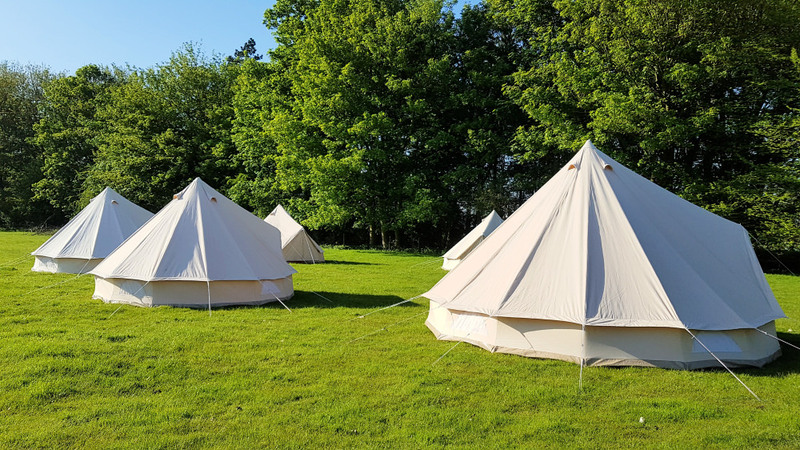 Ten bell tents erected when you want, where you want. Options to add beds, bedding and furniture to order.